Whether you like them or not a trench coat is the essential wardrobe staple. An absolute necessity during Spring – especially when the weather is as changeable as we’re experiencing this year. They are the one piece that can either make or break an outfit. A well fitted trench coat can be worn for any occasion, be it to the office, casual or even going out. The rules have changed about lengths and it is now considered OK to wear a shorter trench coat over longer skirts or dresses but my advice would be to make sure this “looks right” to you before doing so. A belt always helps to create a touch more feminine shape! If you are short it is best to avoid wearing knee length or shorter trench coats with wide legged pants. 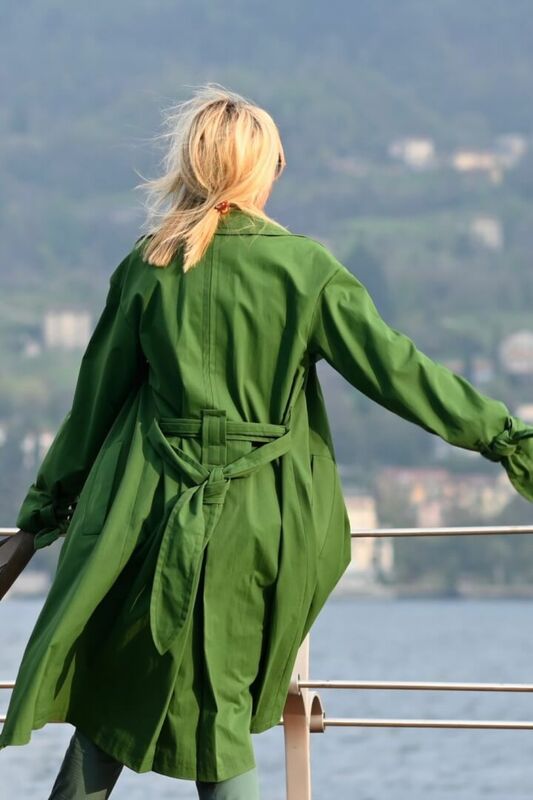 However how do you choose the right colour trench coat for you and why I decided to buy a green one this season? Keep reading to find out. When deciding which colour trench coat to buy the initial consideration is simple. Do you already own a camel trench or not? A camel trench coat is a must have in every wardrobe. If the answer is no then there is no question. A camel trench coat is quite simply a must have in every wardrobe. They never date so are also worth investing in, or at least being very careful in choosing the right fit and length. There are various shades of camel. The more grey tone or the warmer tone. Choose the tone that looks best against your face. Once you have your camel coat how do you choose the right colour for you? Which colours dominate your Spring wardrobe? Your coloured trench coat should look good with the Spring colours you wear most. 2. Do you want to make a statement with your trench coat or simply blend in? This will help point you into the direction of either a pastel tone or a bright statement colour. 3. Which colour trench coat do I already own? A no brainer really but it makes no sense to have 3 yellow or green trench coats even if these are your favourite colour – smile! Green, mustard tones and pink are the colours dominating my Spring 2019 wardrobe. I feel that pink and mustard are both far too similar to camel to warrant buying a trench coat those colours. My daughter tells me when she goes shopping the clothes come to her, not the other way around. You might say this green coat simply came to me. Last but not least, I have been preaching that Spring 2019 is all about wearing tone in tone outfits and I remembered the green pair of chinos at the back of my wardrobe. Yay, now they get new life again! I fell in love with the the details of this trench coat. 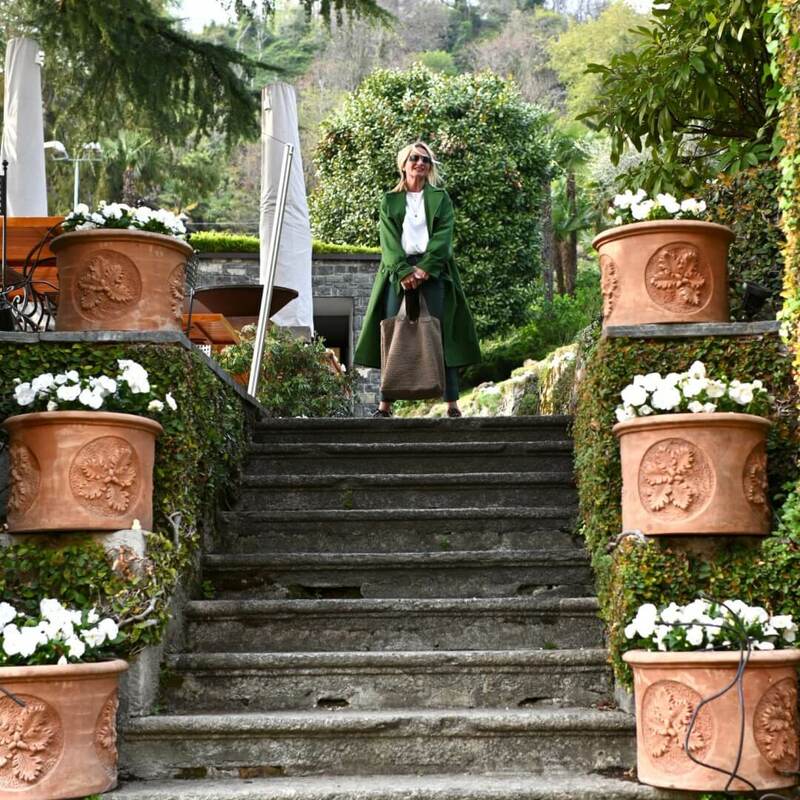 PS: All photos taken along Lake Como and at Grand Hotel Tremezzo – stay tuned for my next post which will give you insider tips for a dreamy stay along the lake. Where to stay and what to do! Thanks dear Nancy, have a wonderful start to the week. I agree! A trenchcoat is an absolute fantastic musthave! Your green was is fabulous!